The core of the Trump child care plan is a tax deduction for child care expenses, an innately regressive approach that assumes all families can afford to pay the full cost of child care to begin with. As many experts have noted, this means that the Trump plan gives the most help to the people who need it the least. Meanwhile, the families who are hoping for child care assistance so that they can work would get next to nothing—all at the expense of a big new tax cut for the wealthy. A new analysis from the Center for American Progress calculates how much President Trump’s child care plan will mean for Trump swing voters. Using county-level election results, this research identifies Trump swing counties as those in which the vote margin swung at least 15 percentage points toward the Republican candidate from 2012 to 2016. By and large, these communities are more likely to be found in the Midwest, northern Plains, and Appalachia. 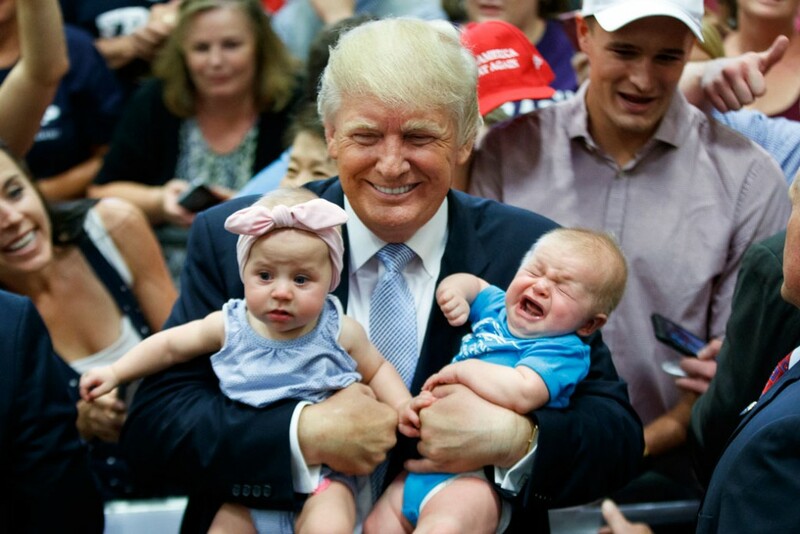 According to the analysis, a typical family with two young children in Trump swing counties would only net $5.55 under Trump’s plan, even after spending $6,037 on child care. To get a bigger net benefit, a middle-class family would have to spend much more on child care than they can currently afford. Since the benefit comes at the end of the year on a tax return, only families that can already afford expensive child care will be able to effectively deduct the expenses. The Trump plan is too little, too late—it asks middle-class families to pay thousands of dollars in child care costs up front and wait until the following year for a tiny refund. Why would President Trump support a child care plan that shortchanges the communities that catapulted him into the White House? After just a few weeks in office, Trump has shown his priority is protecting the interests of wealthy individuals like himself. While hardworking families struggle to afford child care in Trump swing counties, people in Trump’s former Manhattan neighborhood will receive thousands of dollars under his plan. The typical family of four with two young children on the Upper East Side earns about $295,000 a year. A family with that much income, deducting the average cost of child care for two children in New York, would receive a net benefit of $7,329 from the Trump child care plan. Even wealthier families would get an even bigger tax cut, since the Trump child care tax deduction is available to those earning up to half a million dollars. At a time when child care is out of reach for many families, often forcing parents out of the workforce, the Trump child care plan is merely a huge tax exemption for the rich. Any serious attempt at a child care solution would help people who need child care to work yet are unable to afford it. Instead of relieving the economic anxieties of the families that took a chance on a Trump presidency, Trump’s plan would only add to them—all while lining the pockets of Wall Street bankers on the backs of ordinary Americans. While many families struggle just to find high-quality, affordable child care, this regressive plan offers a privileged family more than 1,000 times the benefit that the typical family in a Trump swing county would receive. Unfortunately, the president appears to be breaking his promise to the very people that tipped the election in his favor. Americans deserve a national solution that makes high-quality child care accessible and affordable for all American families—not a misguided and regressive plan that leaves working families behind. Rasheed Malik is a Policy Analyst on the Early Childhood Policy team at the Center for American Progress. Katie Hamm is the Vice President of Early Childhood Policy at the Center. Harry Stein is the Director of Fiscal Policy at the Center. *Note: For more information about the methodology used in this analysis, read the authors’ Methodology Memo here.